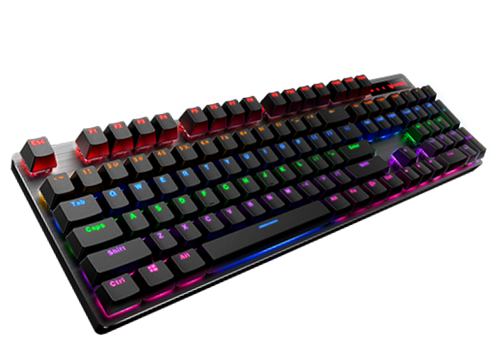 Gamers now have another brand to check out for quality and affordable peripherals, as Rapoo has announced the arrival of its newest gaming products for the Philippine market, under the VPRO brand. These are a result of Rapoo’s integration of design, R&D, and manufacturing – leading to professional-grade gaming peripherals that offer good value for money. 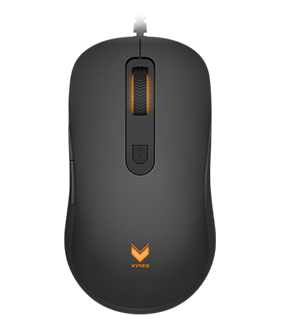 The V16 is an affordable gaming mouse that’s designed for ambidextrous use, and long hours of gaming without straining your hand. It has three DPI settings – 750/1350/2000 which can be toggled through a dedicated button, along with a breathing light for added visual zing. The V280 features 5 customizable buttons which you can use for a wide range of functions and macros. Its built-in memory also saves your configuration, so you can use it on several computers without having to manually adjust the settings again and again, and without the aid of any software. The DPI can be adjusted from 500 all the way up to 7000, giving you the precision you need when it matters. Its gaming optical engine boasts an image-processing rate of 5300 FPS, a tracking speed of 80 inch/s, and up to 1000Hz reporting rate, giving you accurate tracking. The V280 also features LED Multi-Color light system, which lets you customize your mouse’s appearance in numerous ways. It also has features an APM-lighting mode that responds to your actions with a spectacular light show. The V500S is equipped with mechanical key switches with a single-key lifespan of up to 60 million presses, along with a sturdy Aluminium Alloy surface cover, suspension type keycap design, and spill resistance. Its conflict-free design allows you to press any number of keys simultaneously without problems, and its mixed-color backlight with adjustable brightness adds a personalized touch. 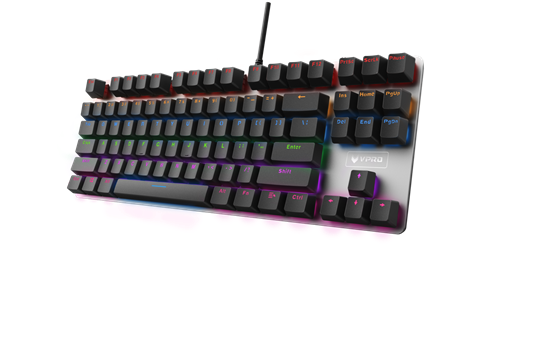 The V500 PRO uses durable keys with double color injection keycaps, a conflict-free design, and durable mechanical switches. 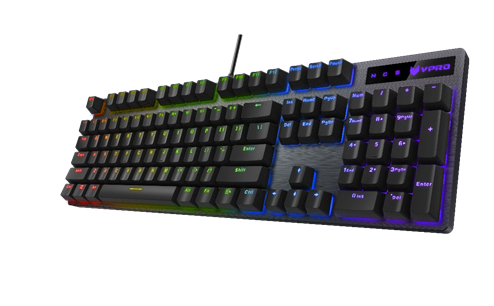 Apart from its full mechanical switches, non-conflict and spill-resistant design, the V500 RGB ALLOY also supports 18 various backlight modes to match the user’s setup. 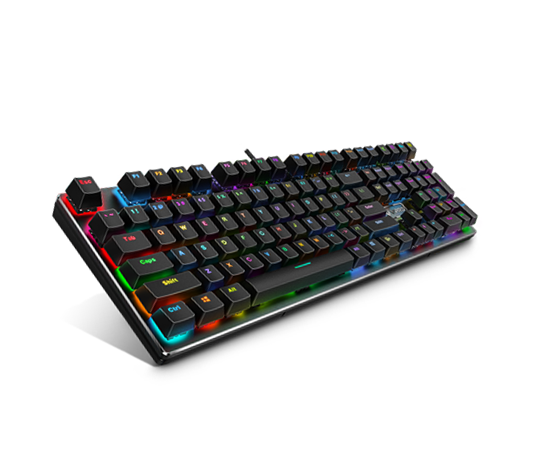 The full mechanical keys on the V700 RGB ALLOY are also programmable, allowing you to be one step ahead of other players. Its on-board memory also saves your settings for use in another PC, and features customizable RGB lighting effects. 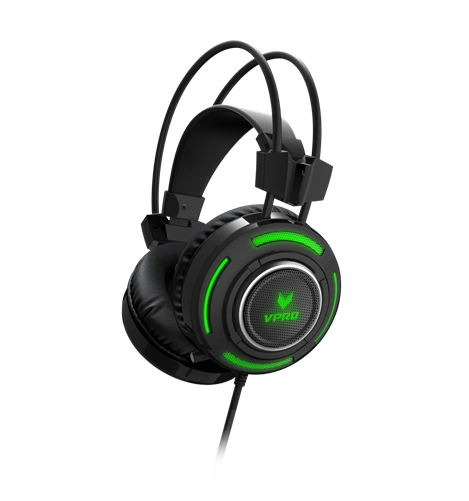 The VH200 features a lightweight design with headband suspension system for absolute comfort, a breathing light effect from a range of 16M colors, along with adjustable sound modes, noise cancelling microphones, and an over-ear design that reduces outside noise. For more information, you may follow Rapoo’s social media accounts on Facebook, Twitter and Instagram.